A you which is now. be neat or else you'd be forgotten. -On a grassy expanse over a few hundred acres in the centre of Bangalore is Cubbon Park, planned and laid out in 1864 by Sir Richard Sankey, the then Chief Engineer of Mysore. -It is named after Sir Mark Cubbon, Bangalore's longest serving Commissio- ner. -Lawns with vibrant flower beds, shady bowers and flowering trees, make this an ideal place for fitness freaks and the elderly to take their morning jogs or evening walks. 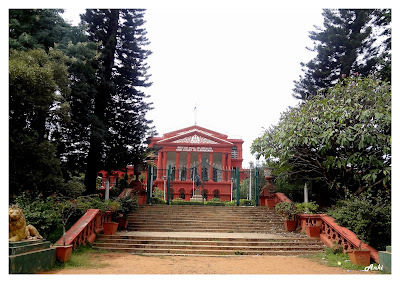 -The Park has elegant classical buildings like Attara Kacheri (the Karnataka High Court) and the Visveswaraya Industrial and Technological Museum, Government Museum, Aquarium, Venkatappa Art Gallery and Seshadri Iyer Memorial Hall, all of which are well known. - Besides these, it also houses Bal Bhavan - an amusement park for children. - Cubbon Park is open to the public at all times, but is closed to traffic from 5 am to 8 am every day. Well,to me a park would mean a beautiful garden,like the one we saw in Lalbagh.Cubbon park is one of the most boring park I have ever visited,and would like to warn you guys.Do not go by what the guide book says.Yes,you can of course jog in cubbon park,but that's it to it.The park is not well maintained,and there are people everywhere,sleeping on desk,sleeping on gardens,it would make you feel a mini version of railway station. When will the people know the etiquette? ?Parks are no sleeping zones.It looks chaotic,garden itself isn't that well maintained.The garden needs renovation of some kind. The advantage is cubbon park's proximity to uber cool UB city,vidhan soudha,high court.Vidhan soudha is not somewhere you can stop and take pics,but its a wonderful sight to see the architecture of the old building. .This is high court of Karnataka,which is situated in cubbon park.The High Court functions out of a red brick building known as Attara Kacheri. The Vidhana Soudha, is the seat of the state legislature of Karnataka. It is an imposing building, constructed in style. Advantage:Cubbon park is in center of Bangalore and very near to UB city and vidhan soudha. Disadvantage:There's nothing to do or see in this park,to me would never visit again. 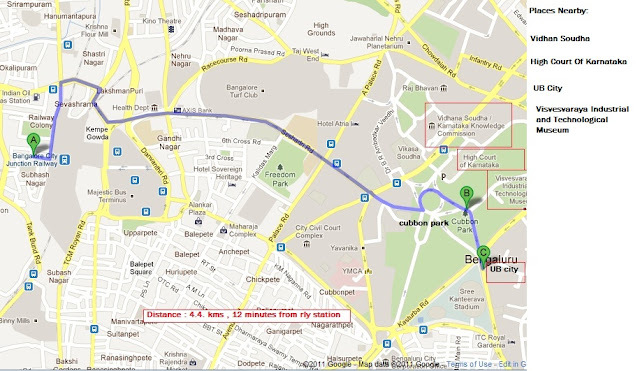 Timings:Cubbon Park is a public park with many Government organizations, associations and clubs in its locale. The park is open all the time. It has been declared a silent zone between 5.00 a.m. to 8.00 a.m.